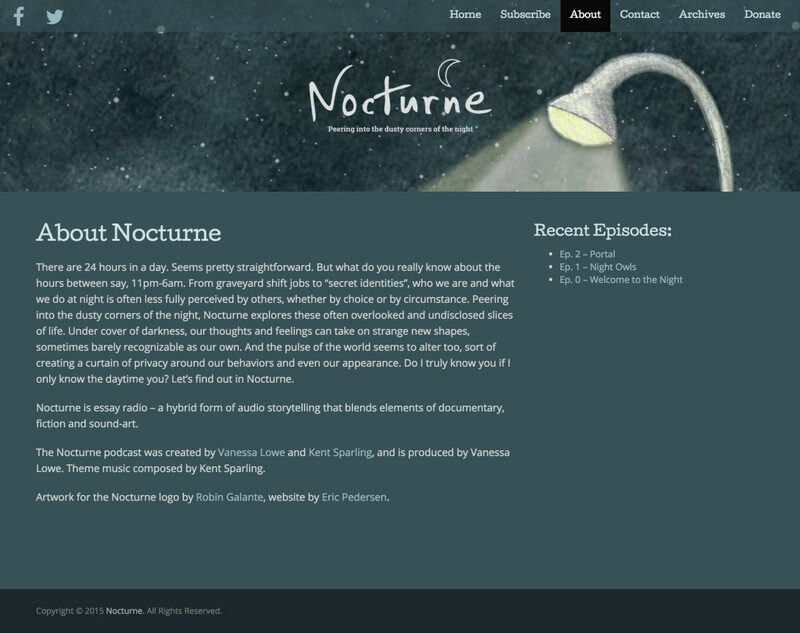 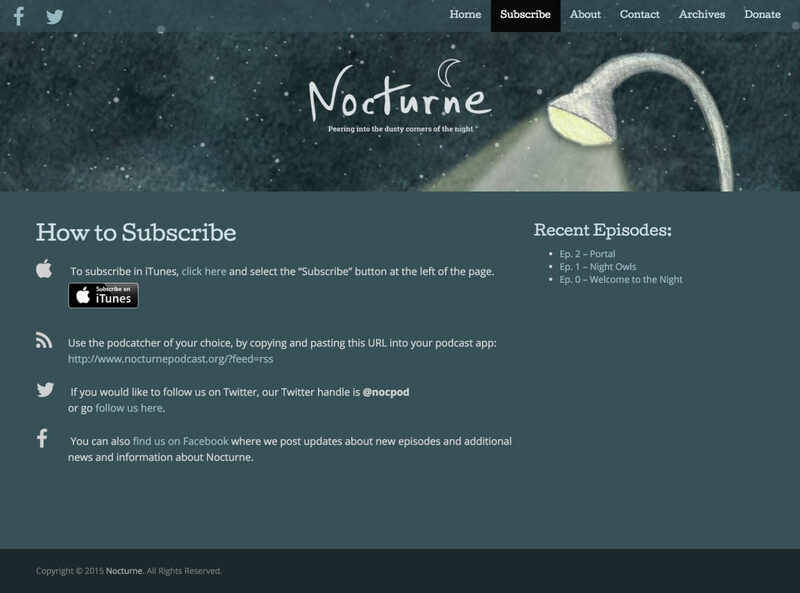 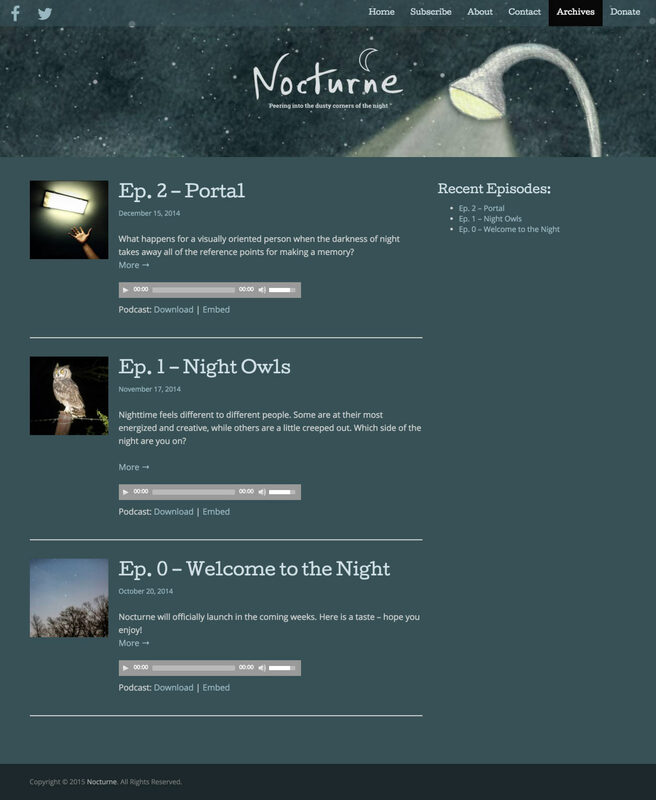 The Nocturne site was created to highlight the monthly Podcast content developed by Vanessa Lowe. 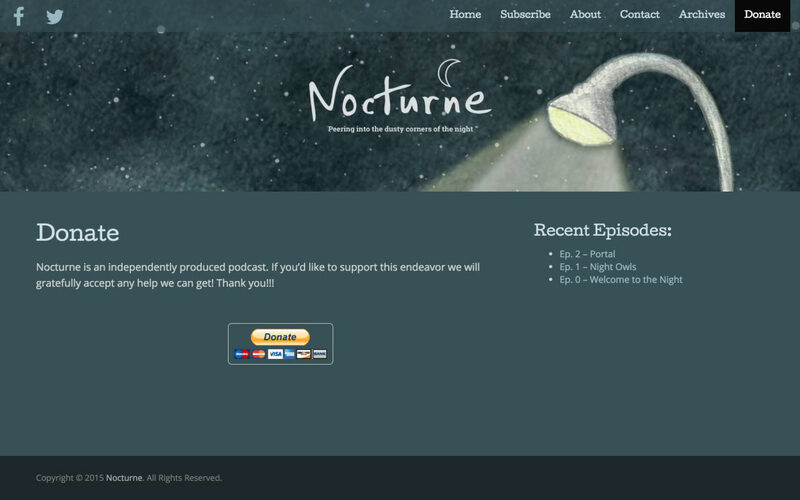 The focus of the site was to support the mood of the podcasts which focus on everything to do with the night. 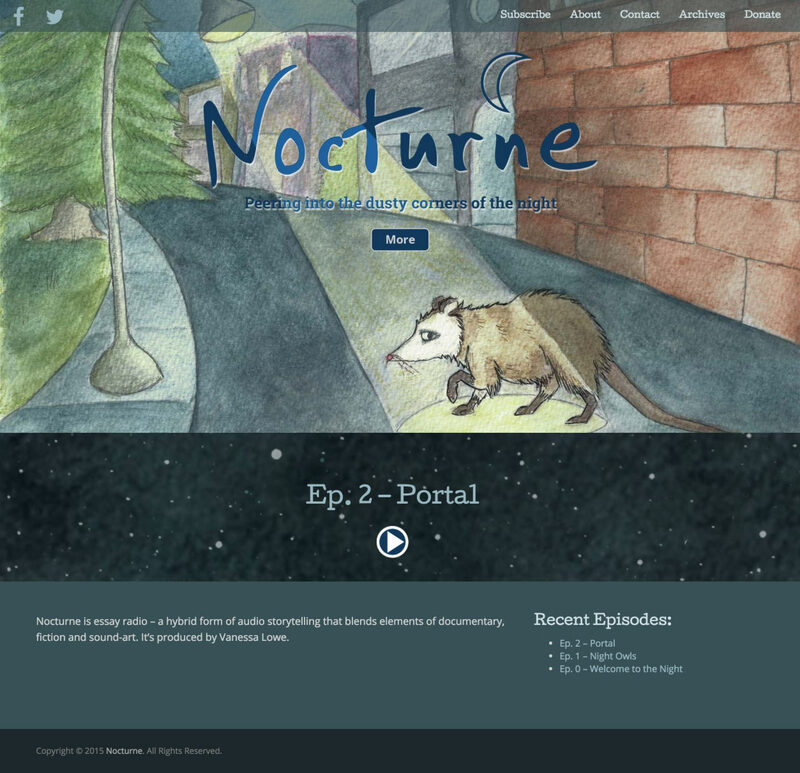 The site relies heavily on the custom artwork my wife, Robin Galante, created for the site prior to my involvement with the project. 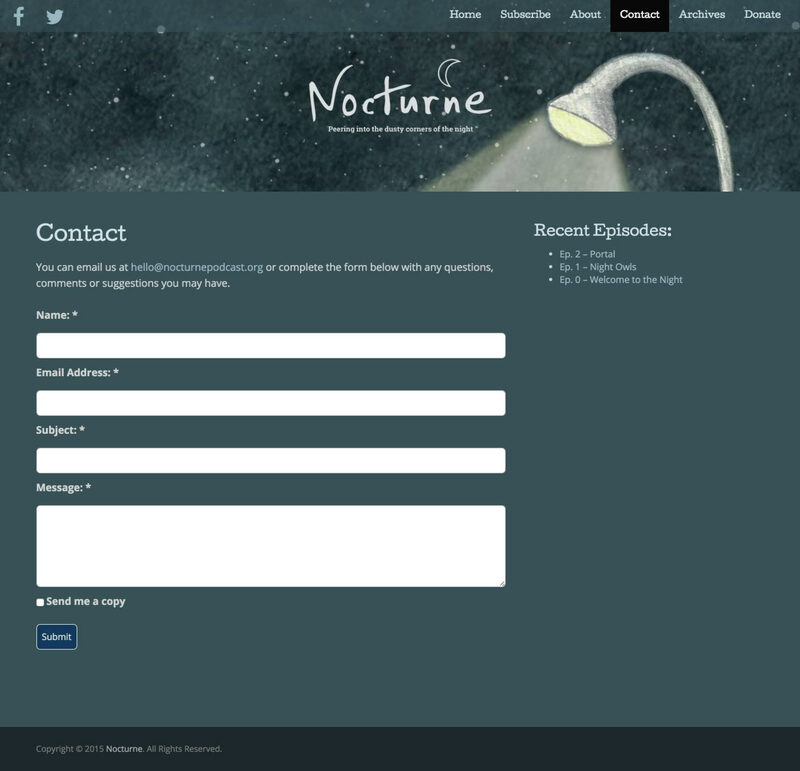 After earlier busier designs, Vanessa steered us towards the final simple design which works much better.